Joining his Meghalaya and Mizoram counterparts, Arunachal Pradesh Chief Minister Pema Khandu has also voiced his opposition to the Citizenship (Amendment) Bill, 2016. Khandu, who had been defending the Bill till now on Monday met union home minister Rajnath Singh along with Manipur chief minister N Biren Singh at the national capital and apprised the latter about the prevailing situation in their respective states in particular and Northeast in whole following the passing of the Bill in Lok Sabha on January 8 last. The contentious bill which seeks to amend the Citizenship Act, 1955 to provide citizenship to illegal migrants, from Afghanistan, Bangladesh and Pakistan, who are of Hindu, Sikh, Buddhist, Jain, Parsi or Christian extraction is yet to get a Rajya Sabha nod. 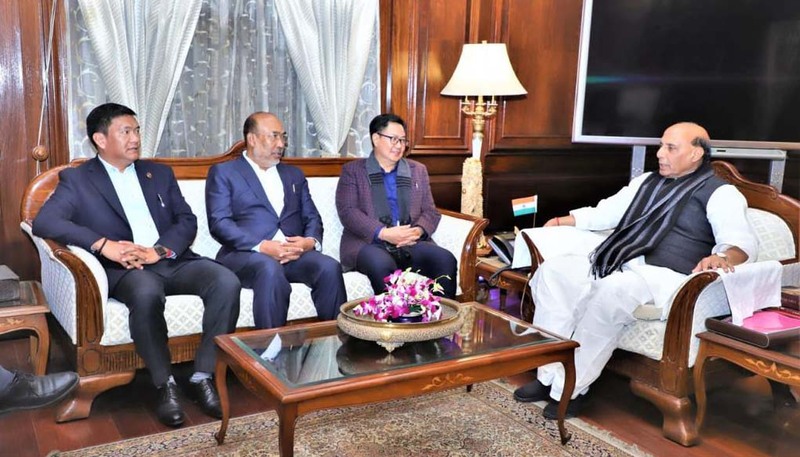 “As there is lot of hue and cry in the Northeast regarding the passing of the Bill, we requested the union minister not to pass it,” Khandu said. It was further informed that Singh assured the chief ministers that the rights of the indigenous people of the Northeast would not be diluted. The statement of Khandu defending the Bill while addressing a gathering at Seijosa in Pakke Kessang district last month had of late been drawing flak from the opposition and several other student and community based organizations from the State. The chief minister had justified the Bill saying ‘people with vested interests’ were misinterpreting the bill to create confusion. Meanwhile, the All Arunachal Pradesh Students Union (AAPSU) has welcomed the stand taken by Khandu. “The AAPSU terms the development as ‘historic’ in many ways and hopes that the Central Government will take cognizance of the grievances put forth by the chief minister,” Tobom Dai the general secretary of the union said.